A big benefit of the Instore platform is the gathering of customer information into a database you can use for workflow, customer service, and marketing purposes. Below are a few sample use cases for the new and improved Customers report on Office. To access this report, navigate to Office on any computer or web-enabled device. The Customers report can be found on the Reports drop-down menu, right below Daily performance. We compile a list of all customer records, visible in table form and also exportable to a .csv spreadsheet file. To access these Filter groups, click on the Filters button and then click on the report you’d like to see. 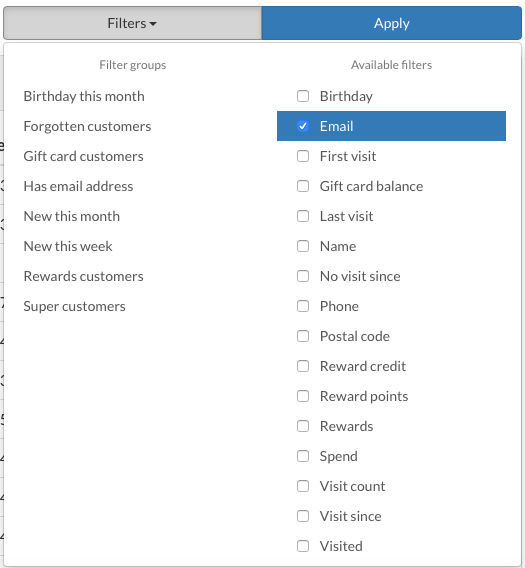 A number of Available filters are listed to the right of the groups that you can use to further refine your report or to create your own custom report. 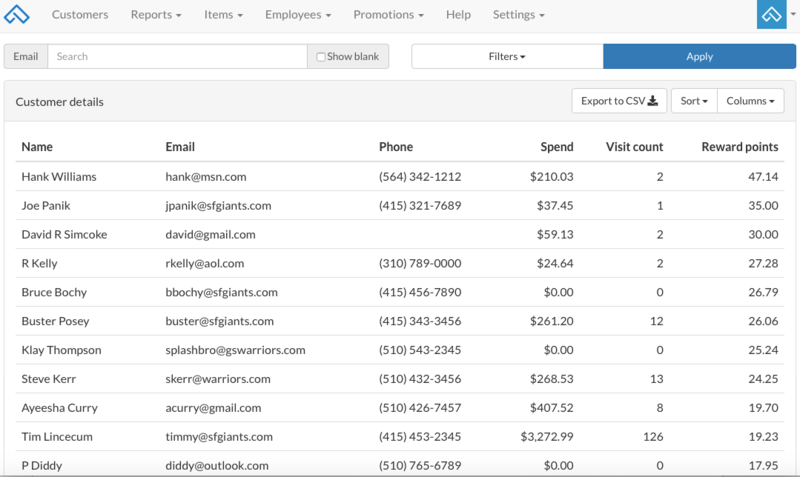 Tip: to eliminate blank names or emails, select the Name or Email filter and uncheck the Show blank box. 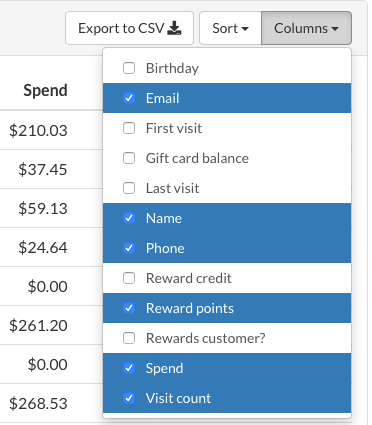 You can choose which Columns are visible on this table by clicking the Columns button and checking the boxes you care about. All available columns will appear in any exported file. 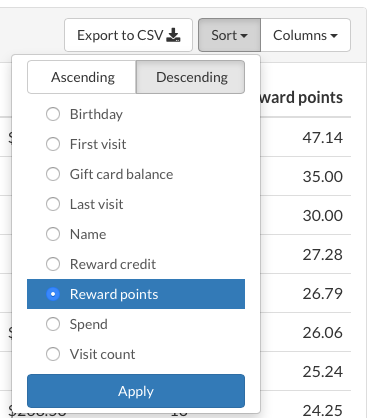 You can also sort the table by whichever column you choose by clicking the Sort button, then checking the box of the column to sort by, choosing Ascending or Descending order, and clicking Apply.